A Haitian American nonprofit plans to construct a 96-unit mixed-use apartment building in Little Haiti. 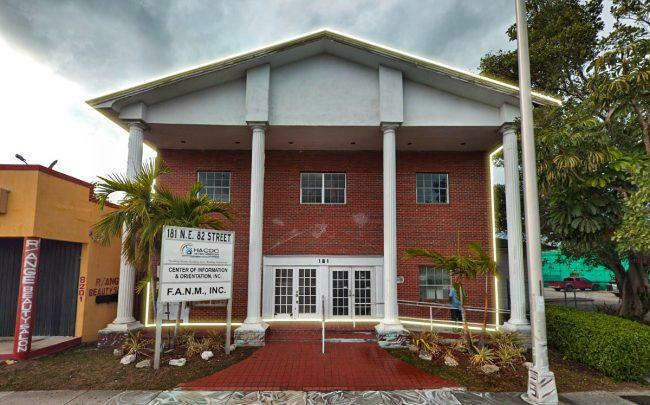 The Haitian-American Community Development Corp. filed the plans with the city of Miami for a new eight-story building at 181 Northeast 82nd Street, the site of the organization’s current headquarters. The local nonprofit, which focuses on building affordable housing in the area, also included 8,000 square feet of ground-floor retail in its plans filed with the city. The project will total 159,000 square feet. The nonprofit has owned the property since 2000, records show. Affordable housing is a pressing issue in South Florida, especially in Little Haiti, as concerns grow about major development projects that could displace residents. Venture Capitalist Bob Zangrillo and Metro1’s Tony Cho are planning to build a $1 billion mixed-use project in Little Haiti called the Magic City Innovation District. It’s planned for land between Northeast 60th and 64th streets and Northeast Second Avenue to the railroad tracks. The 17-acre project plans to include studio space, an innovation center for startups, an office tower, retail space and workforce housing. Residents of the area, however, are worried about gentrification and rising rents and property values that could come with the new developments. Haitian-American Community Development Corp.’s other affordable housing projects in the area include Bel House East, a 45-unit building at 13925 Northeast 6th Avenue in North Miami, as well as the Bel House West, a 20-unit building at 13990 Northeast 6th Avenue in North Miami.